Had the rodeo bull and two other castles off you last night for my big work event, Great prices and very well mannered staff. The night went smashing thanks a lot would highly recommend Dj Land Of Castles. 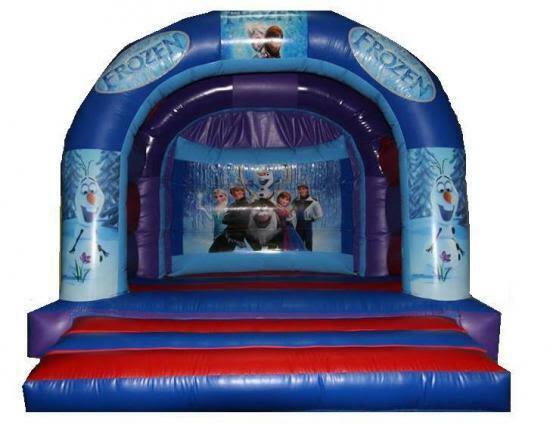 disney frozen bouncy castle hire liverpool. 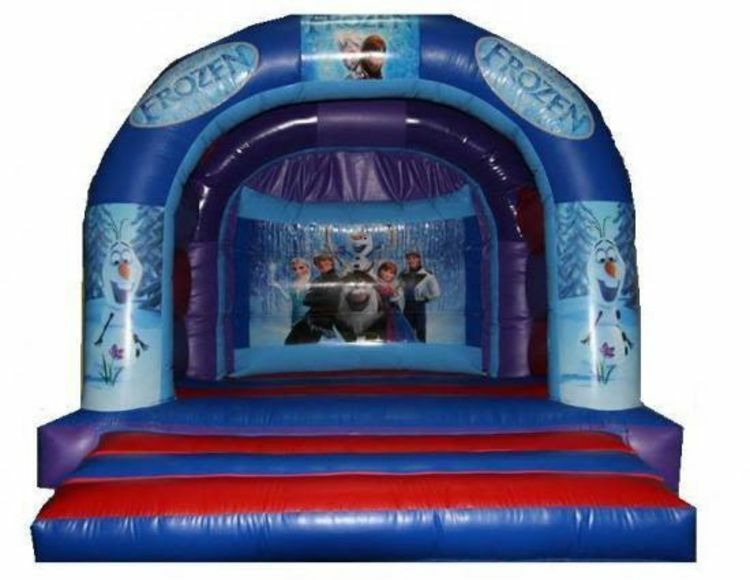 Our brand new 15ft x 15ft frozen castle is ideal for both boys and girls, Taken from the record breaking film it features the frozen characters on it Olaf, Anna, Kristoff, Sven, Elsa, Hans,Sven the kids love it and it will make any childs birthday extra special! 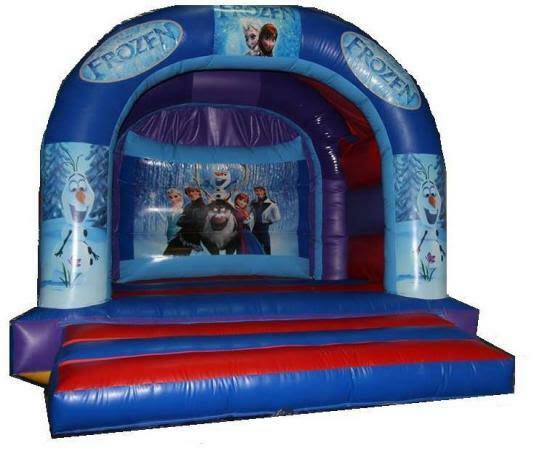 This themed bouncy castle has a raincover so whatever the weather you can still have fun on our Frozen castle.So book on line today.The required space you will need is 16ft x 16ft,the height of this bouncy caste is 12ft.If the bouncy castle is going indoors,please ensure the celing height of the venue where the bouncy castle is going is higher than the bouncy castle height.We deliver our themed bouncy castles, inflatable slides,rodeo bull hire,plus are assault courses and adult bouncy castles and domes,to Merseyside & Liverpool, Widnes, Runcorn, Wirral,Warrington, and St Helens, and some of these areas and further areas will be a additional fuel charge or toll/tunnel charge.Check our delivery checker on our home page,it will tell you if there is a charge for your area.Our bouncy castle hire includes: Blowers, pegs, ground sheets, raincovers, safety plugs and delivery and collection.